With the Millennium year in mind, I decided to arrange a celebration for my home town of Kettering in Northamptonshire. and with the kind permission of the management of Wicksteed Park Ltd., The Kettering Vintage Rally & Steam Fayre was born. There was an overwhelming response from Exhibitors and Traders who had responded to my appeals over the preceding 12 months to help create the show for people to enjoy, while raising money for charities. Without the preservation movement, our past transport and old crafts history would have disappeared. There would not be any period TV or Film Dramas, so these Exhibitors have my heartfelt thanks for their dedication to detail in their hobby. 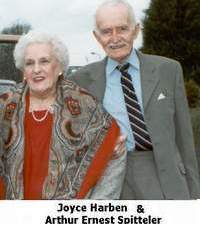 The inspiration behind both my love of steam, and the creation of the show, was my mother, Mrs. Joyce Harben Spitteler, who passed away after a long illness, on June 27th. 2001. She always remembered the big showman's engines powering the fairground in her younger days. She wanted to see 'The Iron Maiden', as she had a copy of the film at home; hence it's appearance at our first show in 2000. It was her line of our family that gave me the earliest interest in steam, with both my grandfathers. During my younger life, my father Arthur Ernest Spitteler, who passed away peacefully after a long illness on the 21st August 2005, had dealings with many farmers throughout Northwest England, and Lincolnshire, where I learned about road transport, and farming. This is also where I learned about steam threshing, having fed the corn into the threshing drums belonging to Messrs. Dawson's of Frampton, near Boston. My mother always encouraged me to learn about these old methods of farming, (any excuse to earn some extra pocket money!) I also learnt to drive a Fordson E27N, Standard Fordson, David Brown Cropmaster, and Ferguson tractors working in our village, Kirton End, 4 miles from Boston Lincolnshire. I also had the pleasure of working for the late Mr. Frank Smith, of Kirton Holme, and G W Pell Ltd. Haulage Contractors of Kirton, Lincolnshire. During Frank's life he collected a great many rare tractors, some of which I drove. 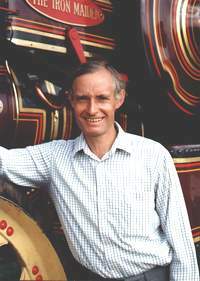 He also had steam power on his farm, in the form of a Sentinel 6-wheel wagon, a traction engine and a French built Austin Tractor. His son, David, was given a Bullnose Morris car for a birthday present! The 60's were great for learning about our transport heritage, as I also worked in road transport when I left school. Some astute preservationists salvaged and restored some of the old equipment, and hereby expanding both our knowledge of transport, and also gave us the exhibits to expand the rally calendar. All this gave me the love of the preservation movement as a whole.